Dr. Patrick Lopez-Aguado will present on his book Stick Together and Come Back Home (2018, University of California Press). In his book, Dr. Lopez-Aguado examines how what happens inside a prison affects what happens outside of it. Following the experiences of seventy youth and adults as they navigate juvenile justice and penal facilities before finally going back home, he outlines how institutional authorities structure a "carceral social order" that racially and geographically divides criminalized populations into gang-associated affiliations. These affiliations come to shape one's exposure to both violence and criminal labeling, and as they spill over the institutional walls they establish how these unfold in high-incarceration neighborhoods as well, revealing the insidious set of consequences that mass incarceration holds for poor communities of color. Dr. Patrick Lopez-Aguado is an Assistant Professor of Sociology at Santa Clara University where his research and teaching interests are in race and incarceration, juvenile justice, youth and street cultures, and urban ethnography. His work has also been published in Social Problems, Ethnography, and Sociology Compass. 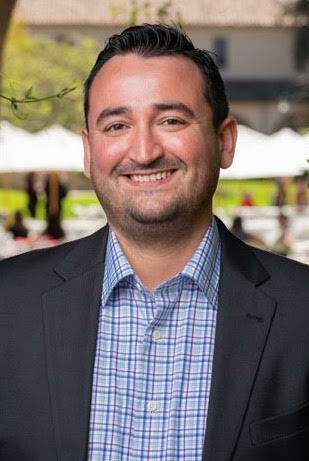 Dr. Lopez-Aguado earned his PhD in Sociology from UC Santa Barbara in 2013. This event is cosponsored by the Sociology Department.